SPARTAN IV-Dreux Schneider is the commanding officer of Spartan Fireteam Phoenix. He is strange for being a Spartan IV, as he preferres to don the armor of Gen II recreations of Gen I armor sets. His reasoning was that Spartans of the past were considered Demons to the Covenant, and that the newer combat uniforms of MJOLNIR Power Armor were often times less menacing and strange; pointing out the armors like Shinobi and Achilles. Yes, they did see cool; but not entirely practical on the field of battle. Little does Spartan Dreux know, but he was listed as one of the many hundreds of other soldiers to be placed into the Spartan II program's Beta Company; before ONI had shut down Spartan II production in favor of the cheaper and more expendable Spartan IIIs. Dreux Schneider was still supposed to be placed into the Spartan III Alpha Company, but was instead unable to be conscripted due to his homeworld being glassed. Lucky to have survived, and even luckier that due to lost records, the UNSC did not know that Dreux was alive for another seven years. By then he was too old to become a Spartan, until the coming of the Spartan IV program. He has proven to be a valued asset of Spartan IV, with Fireteam Phoenix lead by the Color Sergeant in many theaters of the war between the UNSC and the Covenant Remnants. And now, he faces off against even the AIs that had supported him in many battles. From fallen ashes, we rise. This is more of a recreational Spartan Company than a traditional one. Easygoing it is. However, we do have a uniform that all individuals in the company must wear when in combat with another clan or recruiting another.  Funnily enough, the uniform colors are found on our banner here on Halo Waypoint, even though they were planned from the start. The Primary Color is Steel and the Secondary Color is Gold. Try your best to replicate these colors in any Halo games, though some games handle colors differently than others. Visor colors can be whatever you prefer, same as your Spartan Tag. After all, your tag and visor help I.D. you to your team mates from a great distance. Our emblem in Halo 2 to Halo Reach is the Phoenix with a Shield Background. Background color is Gold, and the phoenix on the emblem must be gold as well. The other color of the foreground shield will be steel as well. Play fair, no cheating through hacks or bugs, and be a good sport. This is a clan for fun but we will be serious in moments of dire need. If need be, we will be try-hards, but only if we enter a contest or have a legitimate duel of honor. We do not have much of schedual, as I suspect all members to have very busy lives either doing things at work, with friends, or on other games. Remember to be Honorable, Courteous, have great Integrity so you can Persevere. Self Control is only necessary when we are in try-mode, otherwise just have fun. Be Courageous, and be nice to the rest of the Community. We will try to play on all Halo titles, but the favorites list will be what we will frequent the most.